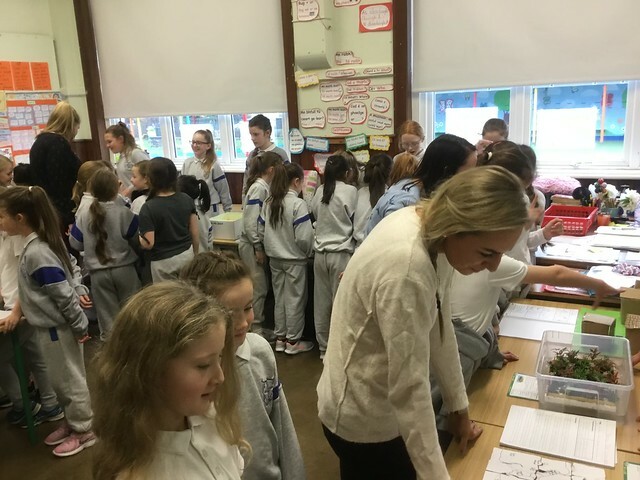 Before Christmas Ms. Kenny’s 6th Class completed fantastic STEM Projects. They did a lot of research, planning, designing and making before presenting their final project. Some of their projects included Earthquakes, Flood Garden Raft, Flood Proof Home, Tectonic Plates and Drought-tolerant Gardens. They were learning about the environment, renewable and non-renewable energy and climate change, and how these topics are linked. Their projects showed how the human race could survive if our climate changed dramatically. For example, their flood proof homes would keep us safe from rising sea levels and floods from rivers and lakes. They loved doing these projects and did so well in them that they invited 3rd to 6th Class in to view their projects.